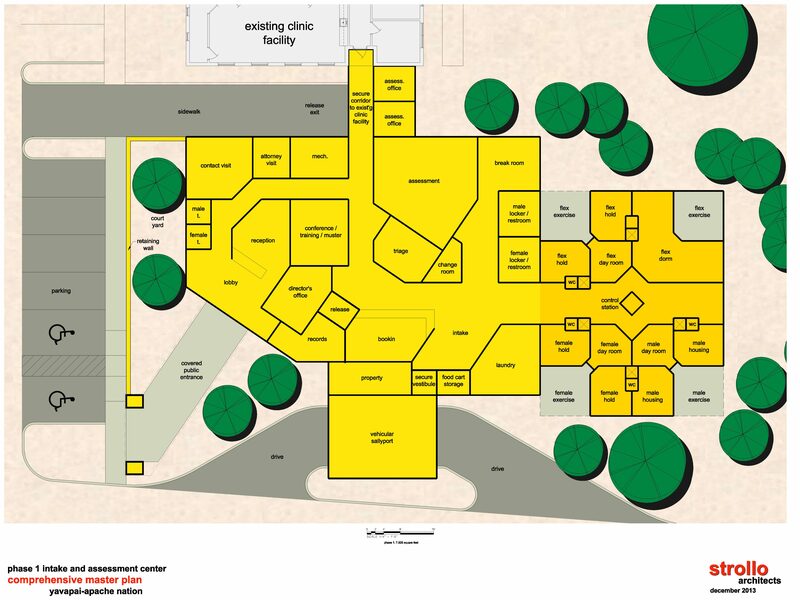 In this Juvenile Justice Master Planning Project, J. Pat Strollo and Tom Weber co-led the Strollo Team on the project, with the planning component completed in December 2013. 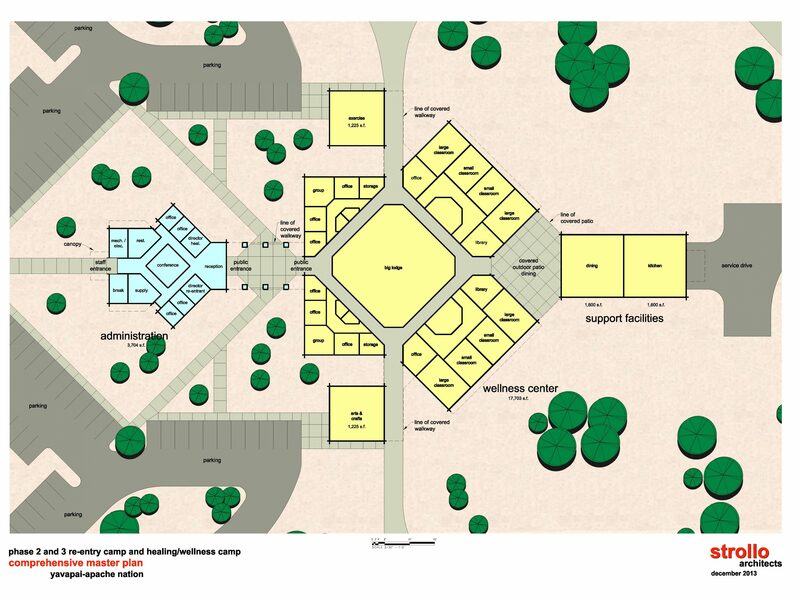 Proposed is a Yavapai-Apache Nation Healing facility set to address mental health, substance abuse and cultural restoration that include the construction of a preliminary 36,300 sq. ft. treatment program area. The population to be served will include those in need of the facility programs as an alternative to incarceration. 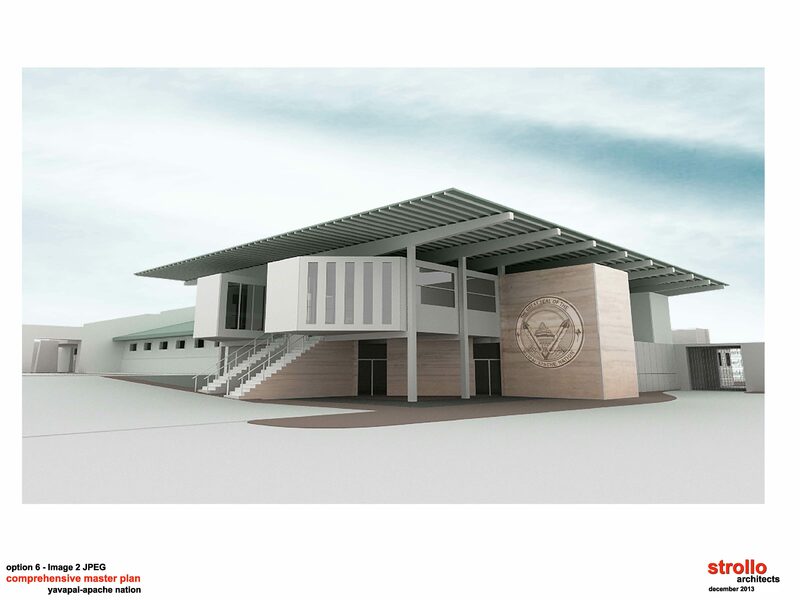 Strollo Architects and JUSG have been partners with the Yavapai-Apache Nation for the life of the project, participating in the original needs assessment, site selection, program design and development, concept facility design, and master site plan.